Have an enquiry or need more information? Welcome To Container Hire Co! If you're looking for quality shipping and storage containers for hire in Christchurch, there is only one company you need to call. As the leaders in shipping and storage container hire Christchurch wide, Container Hire Co have been providing Kiwis with all their container needs for the past 50 years. As your answer to shipping and storage containers, we take pride in not only providing you with the very best in containers, but also in offering you professional service. When you decide to use one of our containers, you can enjoy peace of mind knowing that your possessions are being safely stored in quality containers that won't let you down. We make it our goal to provide you with the absolute best container service the industry has to offer. 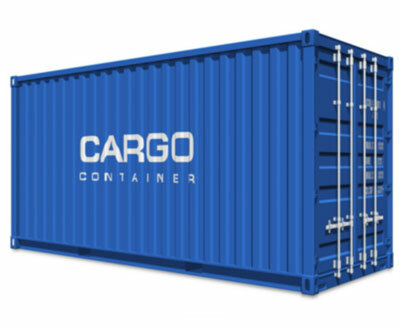 So, if you find yourself in need of shipping and storage containers, get in touch with the friendly team at Container Hire Co today and let us help you protect your possessions. We offer containers for temporary storage on your site while EQC or Insurance repairs and rebuilds are in progress. There are no time limits, meaning you can hire them for either short term or long term. All of our containers go through a comprehensive inspection by qualified marine IICL inspectors every time they are returned from hire, ensuring the next customer gets top quality equipment. For hiring containers, contact us for free written quotes to EQC, or your Insurance claims. We will deal directly with your insurer if required. Founded in 1968, the company first began operations as a general engineering company, specialising in the manufacturing of hydraulic equipment. We later expanded, setting up a division that tended to the repair and maintenance of shipping containers, before eventually dropping the division responsible for general engineering, to focus solely on the hiring and maintenance of shipping containers. Hence Container Hire Co was born. Address: 41 Chapmans Rd, Woolston, Christchurch.